Blacktail Butte offers plenty of challenging sport climbing routes on hard limestone crags, with stunning views of the surrounding area. 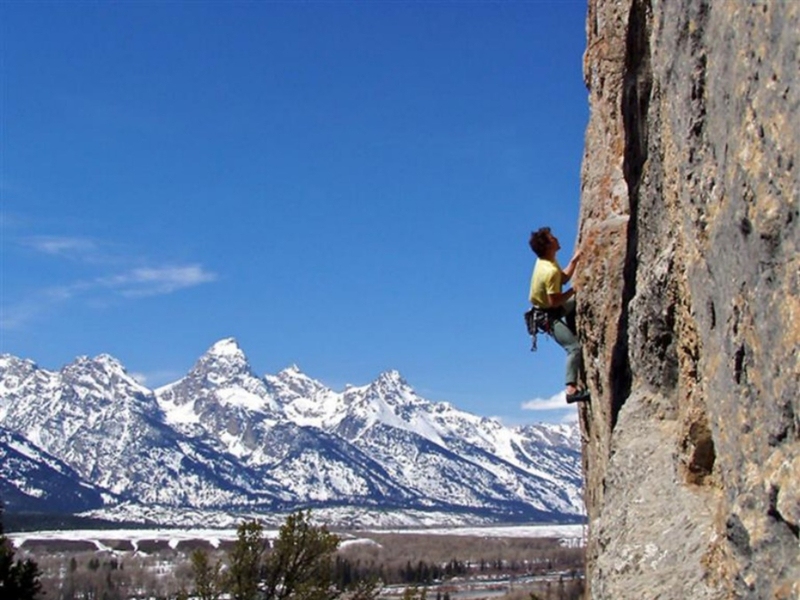 For those who prefer clip bolts, there are three sport crags within a 45min drive of the Jackson Town Square; Blacktail Butte, Rodeo wall, and Hoback Shield are the best options for sport climbing in the area. Blacktail Butte is located in Moose, Wyoming (about 20 minutes from Jackson) and provides the stiffest climbing in the area. There are a number of possible walls within a 20 minute approach, with the main wall clearly visible from the parking area- just head up the stairs! 15 bolted climbs will be found in the Lower Blacktail area with 23 located at Upper Blacktail. The majority of the crimpy limestone climbs are within the 5.11 to 5.13 range with a few 5.10 "warm-ups". WaterStreak (5.12b), Do the Right Thing (5.11a), Crack'n the Cherry (5.11a), Wild at Heart (5.11b), and Graceland (5.11b/c) are recommended for those that can climb the grade. The sun comes over the top of nearly every wall at Blacktail Butte around noon during the summer months and stays over them for the rest of the day. There are a few shaded options, but morning climbing is probably best June through August. 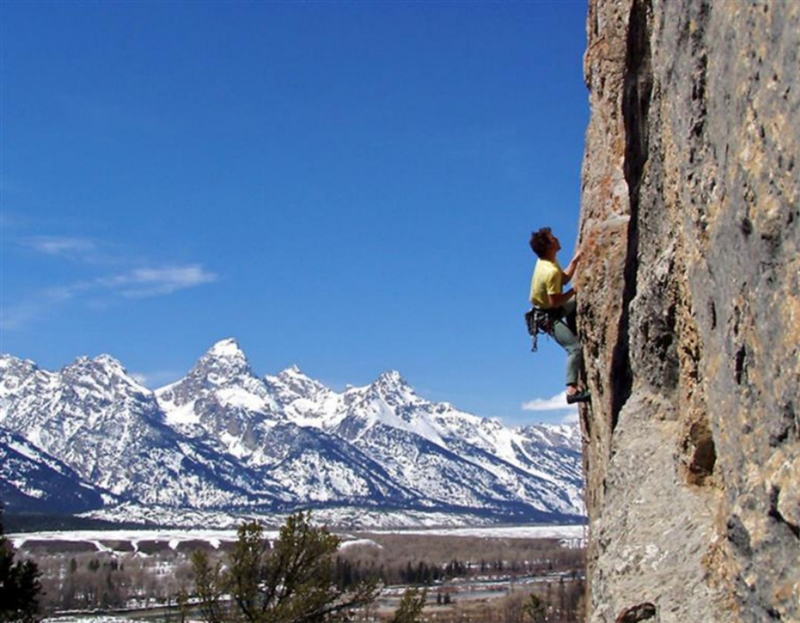 Early evening climbing will serve up a spectacular sunset over the Tetons. Sport climbers looking for an accessible crag. From Mountain Project - "Park in a developed turnout just a little North of the Moose junction (a few miles north of the airport). Follow the stairs up to Lower Blacktail Butte, or the trail heading south to Upper Blacktail."